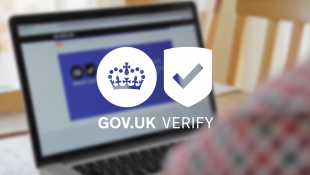 We recently blogged about a consultation that the Open Identity Exchange (OIX) is running on the private sector’s needs for identity assurance. You can read the white paper to see the progress of this project so far. The above list will be updated when this, and other new workshops, are confirmed. If you’d like to attend one of these workshops please email OIX with details of your name and company indicating which workshop you are interested in and you will be sent a link allowing you to register for the event. The workshops are being held by various industry associations as organisations in similar sectors may have similar questions. However, each workshop will cover broadly the same material so if you are unable to make the one for your industry sector then please do register to attend one of the alternative dates. What’s in it for us? What’s in it for you? We know that private sector organisations face significant identity assurance challenges when transacting with users through digital channels - and that these challenges are becoming more intense. OIX hopes that organisations will use this consultation and the associated survey to provide specific insights on practical ways for collaboration between the public and private sector to make digital channels more trustworthy for all parties. If you have any questions then please submit them via the comments section below or contact OIX direct.